PharmaGossip: Panorama - Who's Paying Your Doctor? Panorama - Who's Paying Your Doctor? Eleven doctors and a GSK regional manager have been charged over alleged corruption between 2010 and 2012. A former sales rep said doctors were paid to promote GSK's asthma drug Seretide. The company said one employee had been disciplined and it was co-operating with investigations. If the allegations are proved, GSK may have violated both the UK Bribery Act and the US Foreign Corrupt Practices Act. It is illegal for companies based in either country to bribe government employees abroad. A former sales rep for GSK in the Polish region of Lodz, Jarek Wisniewski, said: "There is a simple equation," he said. "We pay doctors, they give us prescriptions. We don't pay doctors, we don't see prescriptions for our drugs. "We cannot go to doctors and say to them, 'I need 20 more prescriptions'. So we prepare an agreement for them to give a talk to patients, we pay £100, but we expect more than 100 prescriptions for this drug. "It's a bribe," Mr Wisniewski said, confirming that although on paper the payments were for educational services, the doctors understood very clearly that they must produce a certain number of prescriptions in return. The Lodz public prosecutor found evidence in documents given to doctors by GSK to support claims of corrupt payments in more than a dozen different health centres where there was no evidence "patient education" had taken place. Spokesman Krzysztof Kopania said: "We have evidence that in more than a dozen cases it was a camouflaged form of a bribe. "In return for the financial gains the doctors would favour the product proposed by the pharmaceutical company and they prescribed that medicine." One doctor has already admitted guilt, been fined and given a suspended sentence. He said he accepted £100 for a single lecture he never gave, but only under pressure from a GSK drugs rep. He told Panorama: "They kept tempting, and I am just a man." The company said a GSK training programme to help improve diagnostic standards and medical training in respiratory disease was run by doctors in Poland from 2010 to 2012. A statement said: "These sessions were delivered by specialist healthcare professionals who, based on contracts signed with GSK, received payments appropriate to the scope of work as well as their level of knowledge and experience. The provision of sessions under this programme was agreed with the Polish healthcare centres. "Following receipt of allegations regarding the conduct of the programme in the Lodz region, GSK has investigated the matter, using resources from both inside and outside the company. The investigation found evidence of inappropriate communication in contravention of GSK policy by a single employee. The employee concerned was reprimanded and disciplined as a result. "We continue to investigate these matters and are co-operating fully with the CBA [Poland's Central Anticorruption Office]." 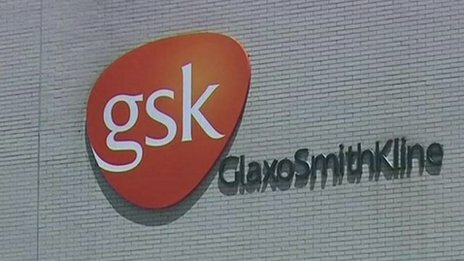 In 2012, GSK paid $3bn (£1.9bn) in the largest healthcare fraud settlement in US history after pleading guilty to promoting two drugs for unapproved uses and failing to report safety data about a diabetes drug to the Food and Drug Administration. Last December, the company announced it was making major changes to its incentive schemes after a damaging corruption scandal in China. The Chinese Ministry of Public Security has claimed that between 2007 and 2010 GSK funnelled three billion Chinese yuan (£300m) through travel agencies. It said it would end direct payments to doctors for promotional talks and stop setting individual targets for its sales reps as part of a wider effort to improve transparency. Panorama: Who's Paying Your Doctor?, BBC One, Monday, 14 April at 20:30 BST and then available in the UK on the BBC iPlayer.